I told him I’d never heard ot this problem, so he wrote back. Start the OPTIONS command. You can right-click almost anywhere and choose Options. The Options dialog box opens. Click the Display tab. 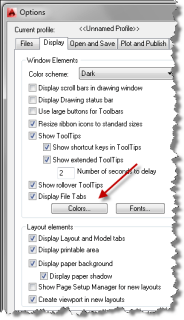 Click the Colors button to open the Drawing Window Colors dialog box. 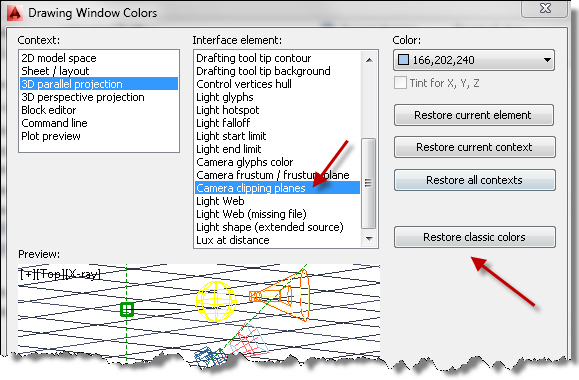 Here, you can alter the color of almost any interface item in the AutoCAD window — making AutoCAD the most customizable interface I know of. The most common item to change here is the drawing background, but you’ll find a lot more options here. In this case, I said to choose 3D Parallel Projection (and repeat with 3D Perspective Projection) in the Context list. Don’t forget to choose the appropriate item in the Context box before going on. Scroll down to the Camera Clipping Planes item. Or choose the item you want to change. Click the Color drop-down list and choose a color. You can choose a standard color or click Select Color to specify any color you want. Click OK to return to your drawing. What interface item colors do you change? How does the new color help you? Leave a comment! Hi Ellen thanks for a very useful tip, much appreciated. setting for my computer and not the drawing or affect other users when they open my drawings. I hope this makes sense, or maybe it only makes sense to color blind people, I am not sure if you had a request of this nature before. Kind regards Kurt. Changing colors of the screen, as discussed in this post, doesn’t change the drawing. If you’re asking about changing colors of objects the drawing, that’s a great question and I don’t know a quick answer. But an AutoLISP routine could change every object/layer that uses a specific color to another color. It could save the original colors and then another routine could change them back. I’m not a programmer, but this sounds very possible. It sounds pretty simple to me and I think you could commission someone to do that inexpensively. It seems like such a real need, I wonder if someone hasn’t already done it. OK, I just did a search on AutoCAD color-blindness and there seem to be some promising items. Go check it out! I just change my model space and block editor backgrounds to black. Paper space I leave white as we normally print on white paper, sometimes though I may change model to a shade of grey if I am doing an automotive wiring diagram. In a layout tab, with “Display paper background” enabled, the paper background color is configurable. But the area outside the paper background is a light gray and there is no place to change it… or is there???? As always, I love your topics but it is never as easy for me. 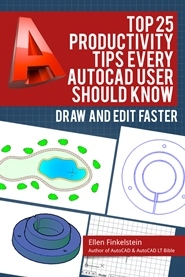 My problem seems to be with the Windows colors for AutoCAD being different than for Office applications. In Windows 7, the top window (title bar) is a washed-out light blue with black letters for the file name, or tab names in their browser. 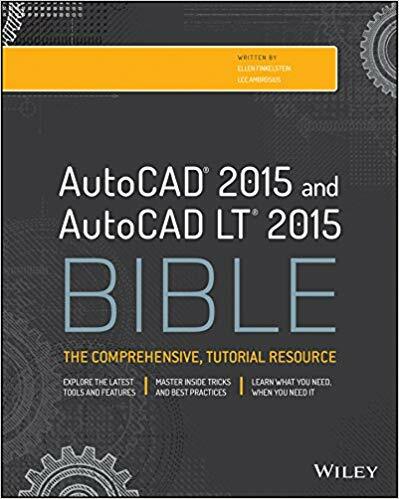 For some reason, for AutoCAD it is WHITE over washed-out light blue. This makes it low-contrast and unreadable in poor lighting. The only choices i have seen for “Color Scheme” are dark and light (NOT high-contrast, as I desire) and the font selections only apply to the command line. I am also color blind and the clasic colors are great, except for the layer dialog box with the gray background I cannot tell if layers are on/off or frozen/thawed.